The front seats of the Chevy Bolt are not really comfortable. They are OK, but I wish Chevy would improve them a little bit. I did a little research on the topic and noticed this lengthy discussion about the uncomfortable front seats of the Chevy Bolt at ChebyBolt.org. So it's not only my opinion. People are even asking if a set of stock Volt seats would fit as replacements because Volt seats are more comfortable. Please note, this is only about the front seats of the Bolt. The rear seats are very comfortable. Tom from GM Electric Vehicle Onwers group on Facebook, who owns a Bolt, writes this. "My only complaint with ours after 5,000 miles is the bumpy freeway ride. Our Volt was much smoother. The torque and acceleration is awesome!" he writes referring to his Bolt. I agree with him, based on my driving impression. Another group member, named Wendel responds to the uncomfortable front seats and says you have to wait for a Buick EV, if you want a really comfortable Buck-type smooth drive. "For true ‘normal,’ I’d wait for the Buick version, both on styling and re-inclusion of power seats and garage-door openers. I’d have loved to have been a fly on the wall when they decided to keep the rear-view tv screen, but not have a power-assisted hatch. It must have been hilarious," Wendel responds. Could Chevy Replace Bolt's Front Seats? Don't misunderstand me. Chevy Bolt is a great car and as I wrote above, it could well be my next vehicle. But I wish Chevrolet would consider replacing the front seats with more comfortable ones and if possible without changing the price. 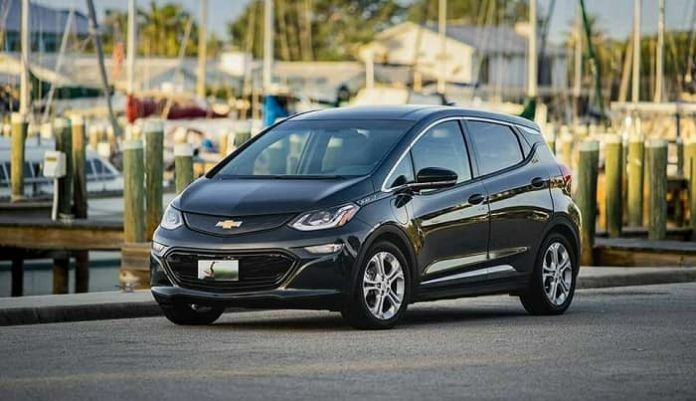 Bolt is growing in popularity and here is what drives the growth of popularity of Chevy Bolt. The interior of the Bolt is really roomy. Besides, last month Chevy Bolt was the best selling BEV in the U.S. If you share this opinion or have a different view please let us know in the comments section below for discussion. I drove a Spark EV for 3 years. Deeply disappointed in the Bolt's seats. Width is not the problem, for me, but the shape. I worked in a auto upholstery shop for a couple of years. Shaping a seat is not that hard to do. Chevy could and should easily improve the front seats of the Bolt. It's already a very good car. On the other hand, I am glad to hear that Bolt sales are improving. Chevy didn't sell a lot of Sparks but they never polled me to see what I liked and didn't like about the Spark. But with almost triple the range of my Spark EV, I wasn't excited to be sitting in those seats for a longer duration. Chevy took away creep mode in low, another blow to me acquiring one. The anti-skid was hyperactive to the point of being dangerous. I picked up an old 2002 Mini Cooper S until my next BEV and the seats are significantly better in a 15 year old car. I love small cars but hated the way the Spark hobby-horsed on the freeway. At the NDEW event I went to, all the Bolt owners had attached bottom seat cushions and lumbar pillows to the driver's seat. They said it did the trick, but it sure looked awful. The seats are bad on the Bolt. Chevy does not listen to customer complaints. At best we can hope for the Buick version to do better. I agree and I disagree. The seats of Chevy Bolt don't seem comfortable when I first get in. However, driving 250 miles a day 3 times in recent months left my body relaxed and pain-free. Two days ago I returned from a week's travel via air and rental car, my back was very sore, but sitting in my Bolt front seats eased the discomfort. In summary, I believe the Bolt seats need more cushion but structurally work very well for me. The seats are definitely a polarizing topic. I personally don’t have a problem with them, even on a long trip (more than 2 hours at a time without stopping). The suspicion is there’s a production issue that hasn’t been caught. People have reported trying multiple identical models on a dealer’s lot and finding some vehicles with fine seats and others with problems. Both the LT and Premier models have the inconsistency issue. I agree the seats need improvement but after a few weeks seat padding will deform to better fit your specific body type. I wish they had a darker option for the white dash finish. I think the seats are likely the fault of the Korean design team. Probably not well-vetted by US management or focus groups before the car was released in the US. Compared to my 2011 Volt, there is more room to put a fat American hand in between the seat and the door to adjust the seat controls. However, this extra space in the Bolt came at the expense of seat width. The side bolsters on the Bolt are short (better for ingress/egress) but also very stiff. This combined with a narrow seat puts one's thigh over the bolster, instead of next to it, depending on how you sit when you drive. I'm 6' tall and an athletic 182 lbs, so not fat by any means. I've found that if I lower the Bolt seat all the way, and move it forward a bit, that it take some pressure off of my thighs and is much more comfortable. Still, it feels like the seat bottom is tipped back too much. I wish there was more adjustment here. All that said, the seat was not a deal breaker for me. Being able to haze the tires from a 30 mph roll, makes you forget about the seats. It also handles much better than my old Volt. I feel like Chevy got a deal on the seats by purchasing them from an airline supplier that makes economy seats. Narrow and lightweight is the airline way. That being said, we love our bolt. Great car! I held off buying a 2017 Bolt thinking the 2018 would surely have better seats. Now I am waiting for the Hyundai Kona instead. If those are also uncomfortable, I will buy the 2019 Bolt and pay a mechanic to fit the seats from a VW. GM does not listen. Front Seat Too Narrow and Not Padded Enough. Chevrolet will not do anything to help me with the poorly designed and mismatched, with the rest of the car, front seat of my brand new Bolt ev LT. The seat is both too narrow and not padded enough. I did not discover these things on any of my 20 min. test drives. After putting 1K miles on it, I have developed a bruise on the back of my left leg from the frame of the seat, which I am literally sitting on when I drive the car. Now I must sit on my bruised leg to drive. It really hurts. The seat doesn't fit (no pun intended) with the design of the car. The Bolt is otherwise big and roomy like a minivan. The seat sits high off the floor and slides back more that I need, providing plenty of legroom and comfort. There is also more than ample headroom. Chevrolet claims I am the only one who has called them with this problem and they have not received any other complaints. I find that hard to believe. I am writing on this thread to ask for the reason it exists. Is there something else wrong with the seat that it requires additional padding? Is it too low or was the padding added in an effort to fix the problems I have described? Has anyone complained to Chevrolet about this issue? What were you told? I am not a hater. I love my Bolt, but I have to speak out about this poor design. Front Seat Too Narrow and Not Padded Enough. Chevrolet will not do anything to help me with the poorly designed and mismatched front seat of my brand new Bolt ev LT. The seat is both too narrow and not padded enough. I did not discover these things on any of my 20 min. test drives. After putting 1K miles on it, I have developed a bruise on the back of my left leg from the frame of the seat, which I am literally sitting on when I drive the car. Now I must sit on my bruised leg to drive. It really hurts. The seat doesn't fit (no pun intended) with the design of the car. The Bolt is otherwise big and roomy like a minivan. The seat sits high off the floor and slides back more that I need, providing plenty of legroom and comfort. There is also more than ample headroom. Chevrolet claims I am the only one who has called them with this problem and they have not received any other complaints. I find that hard to believe. I am writing on this thread to ask for the reason it exists. Is there something else wrong with the seat that it requires additional padding? Is it too low or was the padding added in an effort to fix the problems I have described? Has anyone complained to Chevrolet about this issue? What were you told? I am not a hater. I love my Bolt, but I have to speak out about this poor design. Hello there! Do you know if they make any plugins to assist with Search Engine Optimization? I'm trying to get my blog to rank for some targeted keywords but I'm not seeing very good results. If you know of any please share. Cheers!